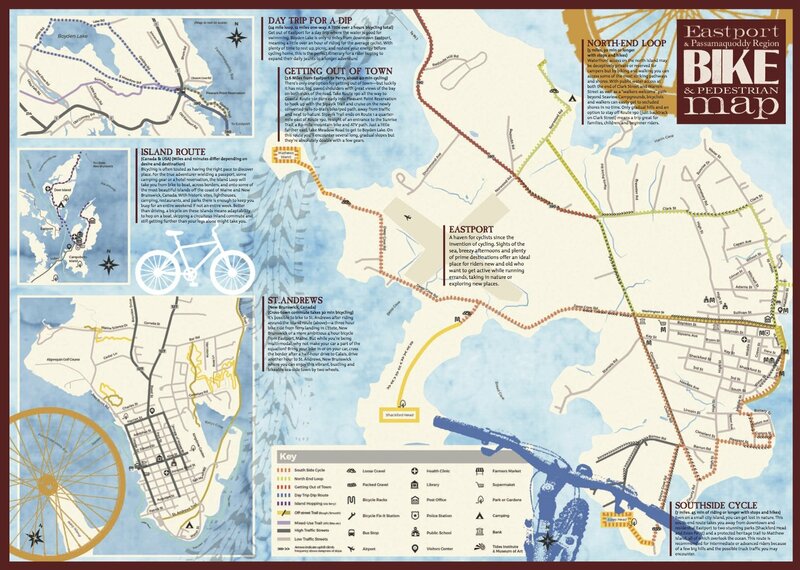 Working in partnership within Eastport’s Healthy Maine Street initiative that included TIMA, Eastport Health Care and the Greater Eastport Chamber of Commerce, TIMA took the lead of a project to develop a regional bike and pedestrian map. The map was completed in 2017. 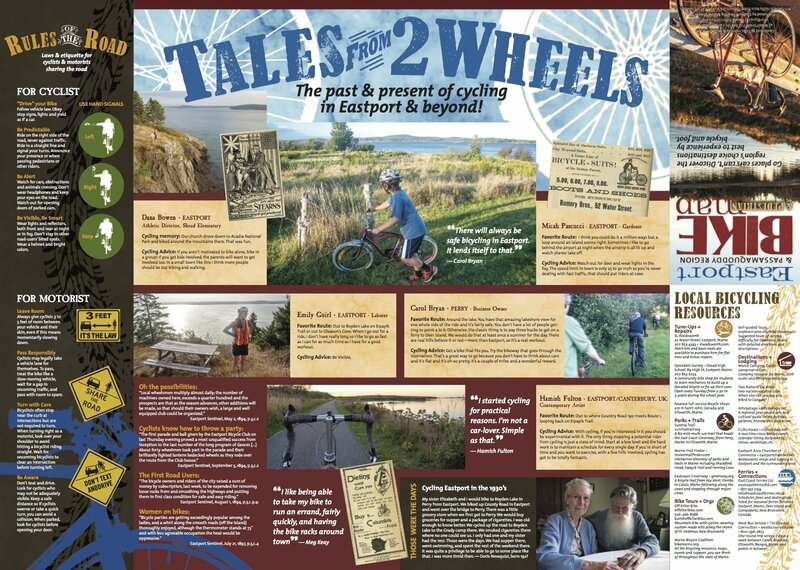 Differing from typical bike and pedestrian maps, the Eastport & Passamaquoddy Bike & Pedestrian Map not only provides suggested bike and walking routes and bike resources, but it also looks at the past and present of cycling in Eastport & beyond through historical quotes from the 19th century local newspaper to excerpts from interviews with local residents about their past and current biking memories and experiences. The front and back of the map in its final state can be seen below.